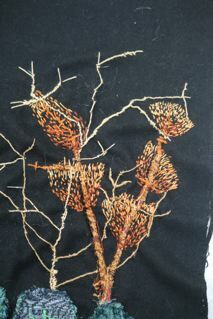 The texture/pattern made by little seed stitches has always been a favourite - nice! Just reading your blog. LOve it LOve the paintings I hadn't seen and the beautiful stitch work It;s great. I'm not sure exactly how you did that but it looks fabulous . Tell gary I enjoyed his blog too.